1. 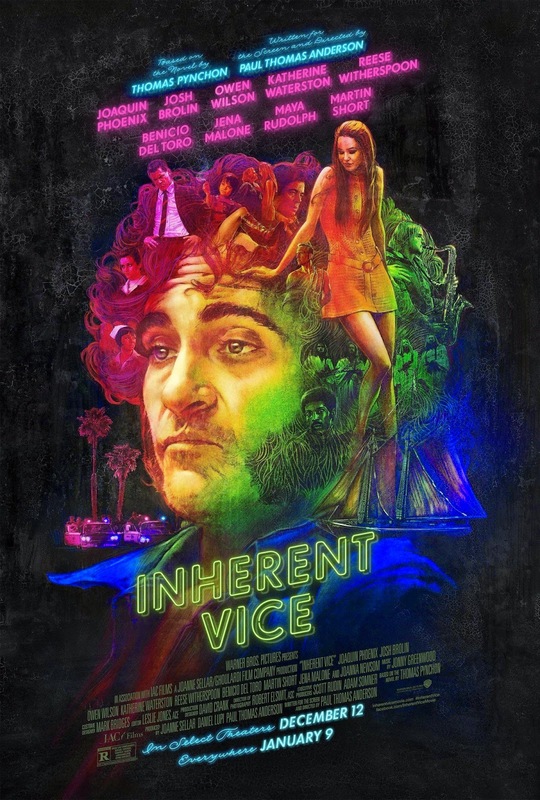 Inherent Vice, directed by Paul Thomas Anderson - Review here. 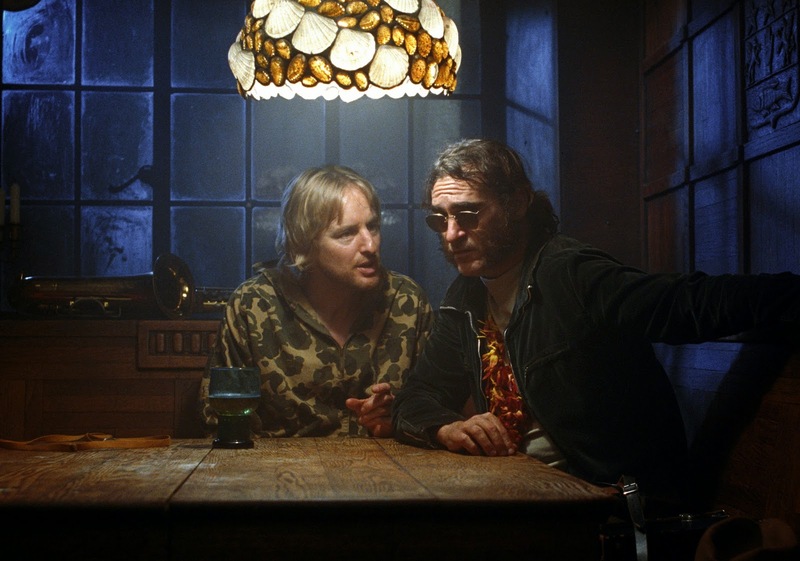 After its world premiere at the New York Film Festival, I wrote that Joaquin's Phoenix "Doc falls in that sweet spot somewhere between Jeff Bridges' Dude in The Big Lebowski and Elliot Gould's Philip Marlowe in The Long Goodbye." 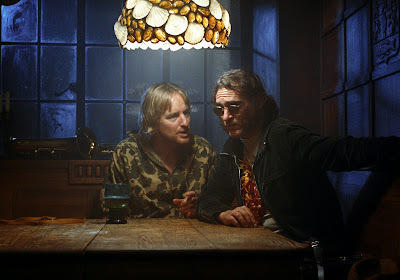 True enough, but subsequent viewings of Inherent Vice have touched me in a very different way, evoking a longing for the era of my childhood, the time depicted slightly askew in the movie. So dripping with this familiarity is Anderson's film that every time I watch it I feel like I'm wrapping myself in a warm blanket of comforting nostalgia. Am I biased? Maybe. But it's my list and I'll top it with any movie I want to. 2. The Immigrant, dir. James Gray - Review here. The year prior I saw Phoenix in an equally impressive character turn as the twisted pimp Bruno in Gray's epic. Unfortunately, not many others saw this lush turn-of-the-century epic (now on Netflix) because the Weinsteins refused to promote or distribute it properly, payback for the director's refusal to compromise his vision by cutting the film's running time. 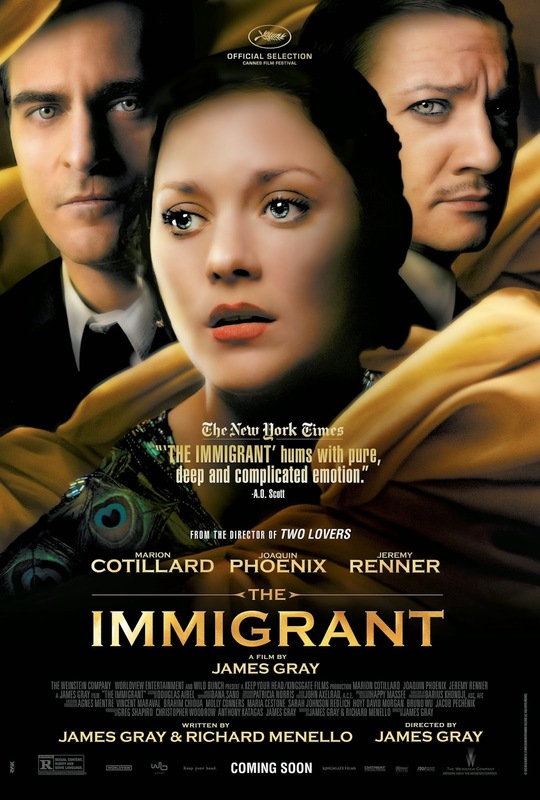 The Immigrant is a fantastic gender-reversal on the story depicted in the flashback timeline of The Godfather Part II and a wonderful showcase for its star, Marion Cotillard. 3. Snowpiercer, dir. Bong Joon Ho - Review here. The Weinsteins pulled the same thing here. But they also decided to use this film as a sort of test case for VOD distribution to surprisingly great success. So Snowpiercer is quickly becoming a cult favorite. One of the most surprising reasons why is because Captain America's Chris Evans gets to show some range as the darkest protagonist he's yet played. 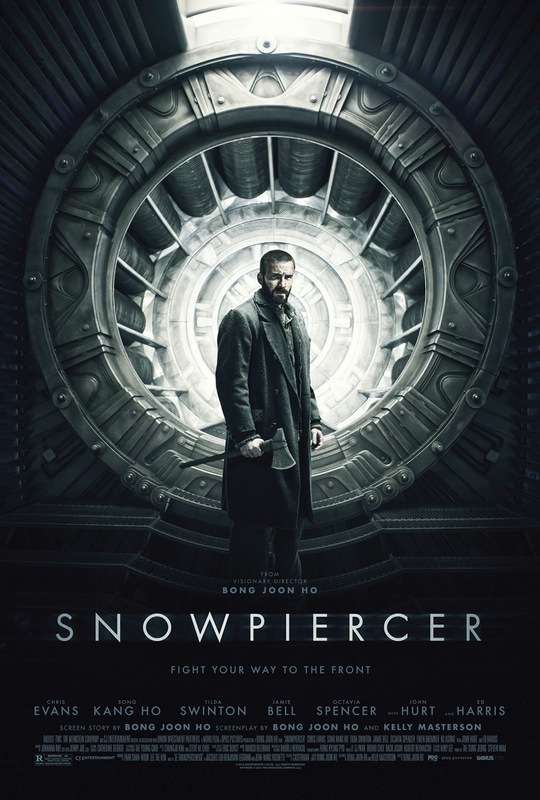 His revelatory monologue near the end of the film proves why he and Snowpiercer are worth taking a second look at. 4. Ida, dir. Pawel Pawlikowski - Review here. A powerful film that contemplates the effect World War II had on Poland through the film's title character, a nun (Agata Trzebuchowska) whose repression masks a gorgeously wild streak of non-conformity. 5. The Homesman, dir. 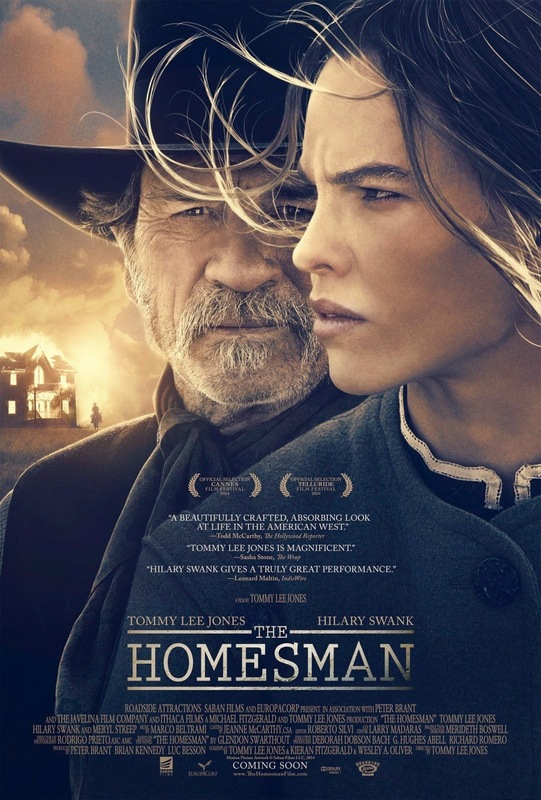 Tommy Lee Jones - Eloquent, spare, and haunting, The Homesman is a fine showcase for the underappreciated Hilary Swank. Aside from the Glendon Swarthout novel on which the film is based, Jones is obviously inspired by the darker westerns of Larry McMurtry and Cormac McCarthy, authors who find it easy to merge horror with the ever present disquiet and solitude rarely spoken of in movies about the Old West. Rodrigo Prieto frames every shot as if it were an epic tableaux, a sharp contrast to the disturbing dissonance of Marco Beltrami's beautiful score. Surprises abound, an unexpected treat in a genre long considered moribund. 6. 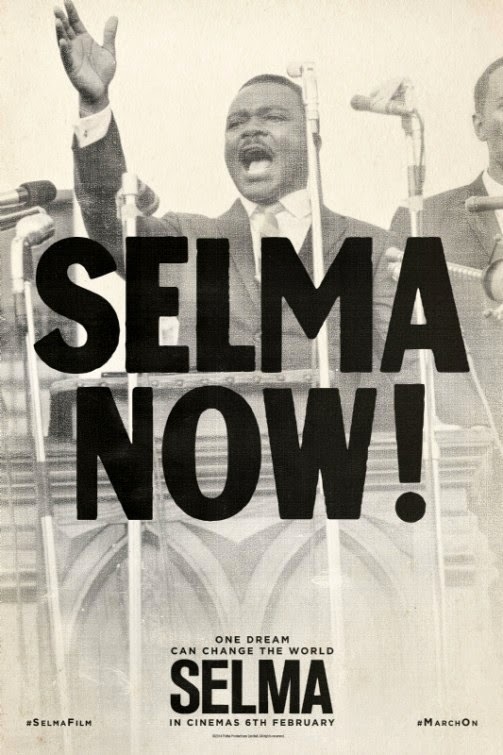 Selma, dir. Ava DuVernay - Review here. Controversial for the way it revises history to exclude the contributions of LBJ to progress in the Civil Rights movement, it's all really a non-issue. Duvernay strives for poetry in place of prose, and that's no reason to punish a film for eliding past some historical data points. 7. 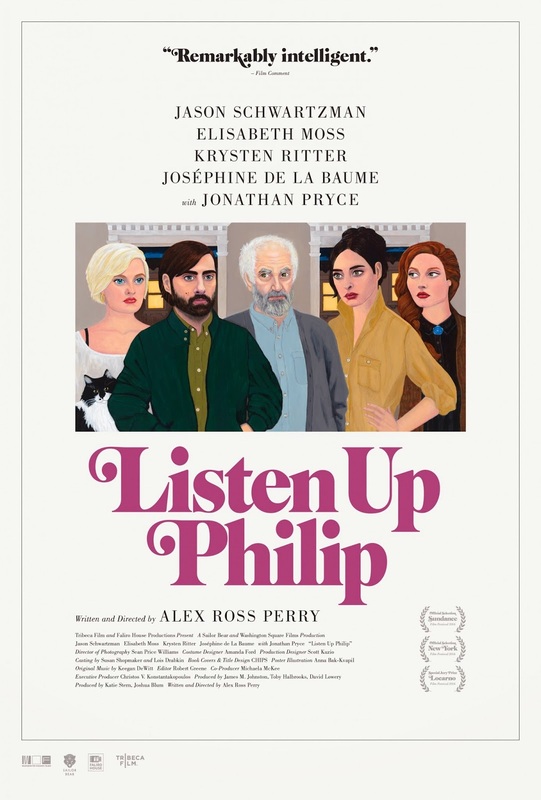 Listen Up, Philip, dir. Alex Ross Perry - Review here. Simply a pitch-perfect depiction of a certain egotist writer (played here by Jason Schwartzman) specifically endemic to New York City. I know this guy. 8. The Grand Budapest Hotel, dir. 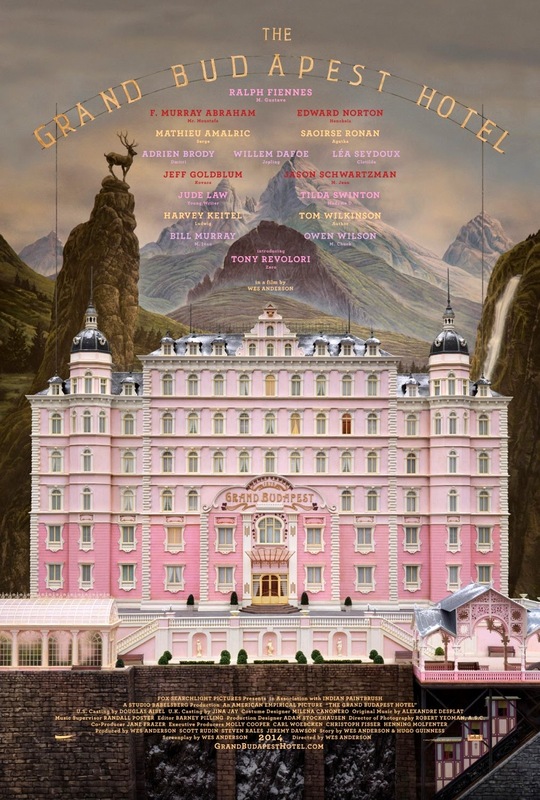 Wes Anderson - Review here. Ralph Fiennes gives his best performance in years, and it's a comic one. The rest of the huge all-star cast is also in top form. But the most surprising thing is the elegiac perspective the film offers on an Eastern Europe that was not allowed to mature past the turn of the twentieth century. 9. 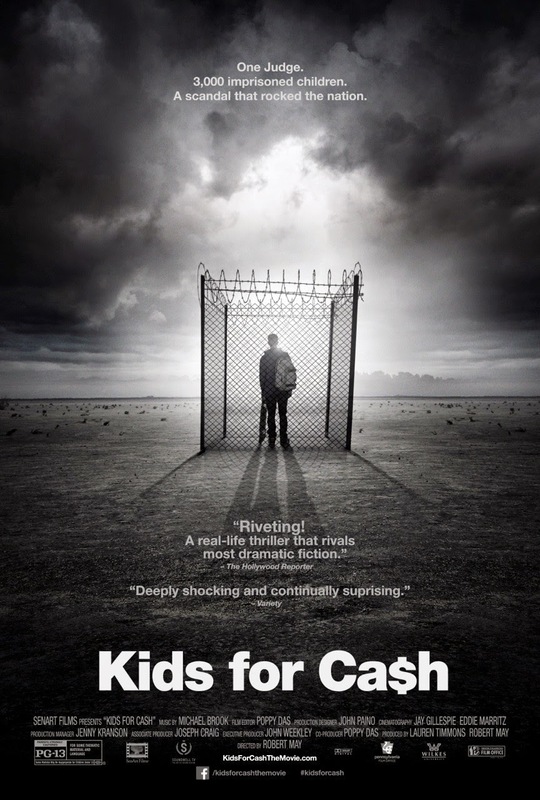 Kids for Cash, dir. Robert May - Review here. The outrage engendered by a for-profit prison system is brought into sharper focus once we see its effect on troubled children. 10. Only Lovers Left Alive, dir. Jim Jarmusch - Review here. Like every Jarmusch venture, it's a hangout movie. 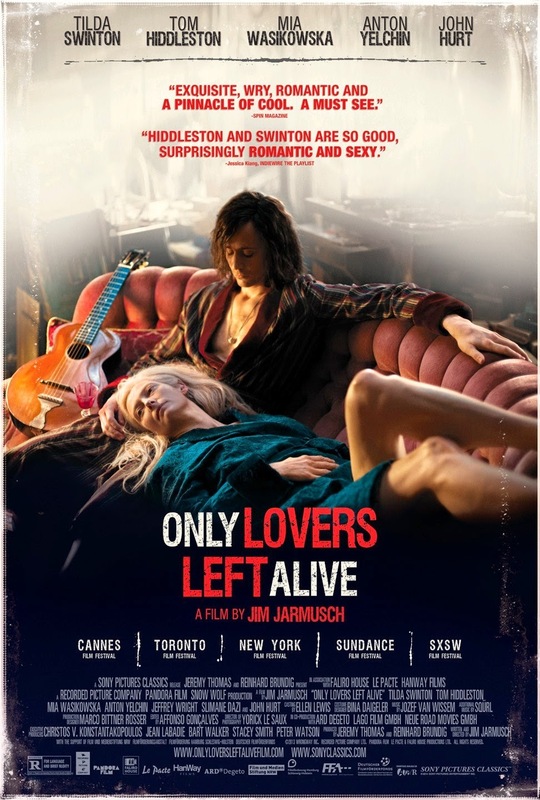 However Tilda Swinton and Tom Hiddleston's vampires make an undead eternity together seem more attractive than their lamentations might imply. 11. Boyhood, dir. Richard Linklater - Less unique from a storytelling aspect and more of a technical, experimental achievement, Boyhood is an epic in miniature. Linklater spent more than a decade capturing the ever evolving performance of Ellar Coltrane as Mason who literally matures from about six years old to 18 onscreen. It was a gamble that this cute, fascinating little boy might remain as intriguing as he got into his awkward, clumsier adolescence, but Linklater's gamble pays off big. 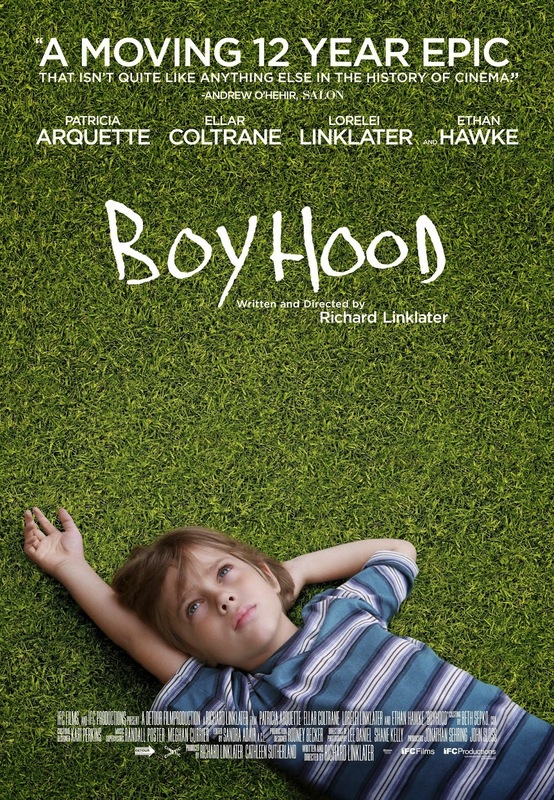 Better yet, Boyhood doesn't restrict itself to simply depicting the boy's coming of age. It also traces the evolution of his divorced parents (played superbly by Patricia Arquette and Ethan Hawke), from failure to success and back again. Arquette goes from single, uneducated mom to successful college professor with much alacrity, but is constantly bogged down by her poor choice in men. Hawke plays the one loser she did let go, early enough apparently to scare him straight. He slowly leaves his dreams of being a musician behind and embraces a boring but stable lifestyle as an insurance agent with a new wife and child. Through it all, we get to experience how the interfamily dynamics affect Mason and form him into the young man he becomes. A very sweet movie.